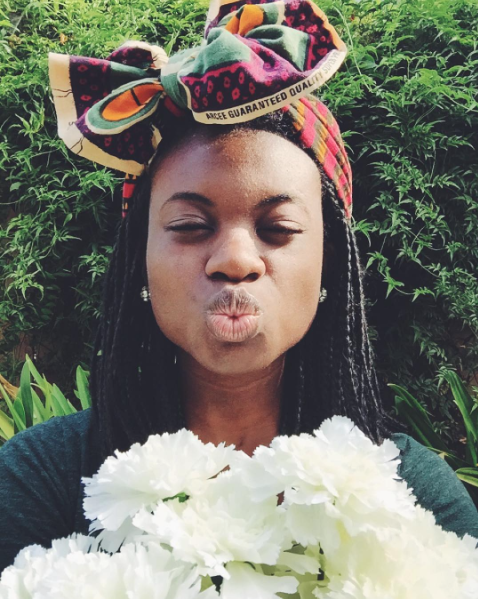 As we've been going through the "Clap for That Wrap" series, I've noticed that some of you have expressed trepidation at trying new head wrap styles because you're afraid of culturally appropriating styles from other cultures. I won't lie, I find this interesting, and I'm ashamed I didn't think it enough of an issue to address right off! But, hey, better late than never, right? Let's dig into this together! Two things I think we can all agree on to start (or the vast, vast majority of us at the very least can agree on), is that 1.) The question is not whether or not each of us can or cannot wear head wraps, but which head wraps we can rightly wear, and 2.) Religious head wear (such as specifically Muslim or Sikh styles) should only be worn by the people adhering to those religions or ideals. 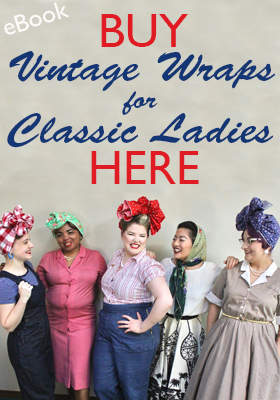 Now that we've got that settled, let's get into the not-so-clear part of head wrapping: Who can wear which wraps? I didn't feel I could bring as well-rounded and diverse a viewpoint that this discussion requires, so I asked for the opinions of others to aid in the discussion. I've also pulled quotes from articles on the subject and included a few more resources at the bottom for your further reading enjoyment and learning! Discussion is important, and just asking the question is a show of maturity and awareness. What wraps are in question? Most of us probably don't have a problem with anyone wearing a "Rosie the Riveter" style wrap or such styles that are just plain "vintagey" and Western or worn for utility. From what I can tell, many wraps in question for you guys are inspired by black/African (differentiating between these is a whole other conversation we won't get into!) or even Middle Eastern styles. The way the fabric itself is wrapped may be the "iffy" part for some of us, or sometimes the print on the fabric (such as kente cloth or wax prints) may make some of us feel uneasy about trying them. We may even be concerned after watching wrap tutorial videos if the person in them doesn't look like us. Who needs to question their wrap styles? Unless you can clearly, unambiguously connect yourself to a particular wrap style as far as culture or history goes (such as being a Nigerian wearing a Nigerian wrap), then you should do an evaluation before wearing. This evaluation is not limited to a particular race, culture or people. Anyone borrowing a wrap style that can be attributed to another culture should ask themselves if it is alright to wear, just as a starting point. The answer may differ from situation to situation or person to person, but most of us are going to need to start by asking, "Am I the person to wear this wrap?" So how do I evaluate? 1. Do research. Is this wrap style originating from a certain people group, religion, or era? Does the fabric's print have a name or signify something? 3. Are you at least knowledgeable enough about the wrap or fabric to be able to converse about it and show a basic understanding of its roots? Honestly, if you aren't willing to do a five minute google search on a wrap or fabric that belongs to another culture, you don't deserve to wear it. Yep, I'll be that blunt. 4. If it's not exactly a traditional wrap, is it a version "inspired by" or very similar to a wrap claimed by a cultural group? Is there a version you can buy that would support the community it originates from? If not, are you willing to support a company that has knocked it off without giving credit? 6. Do you ROCK IT?! After all the evaluating, this is the question it all comes down to... Does it flatter you? Do you feel downright amazing in it?! If so, rock it! "Head wraps have existed in all cultures for aeons, but we have to be mindful that cultural relativism actually shifts over time. What projected one way decades ago projects in another today. 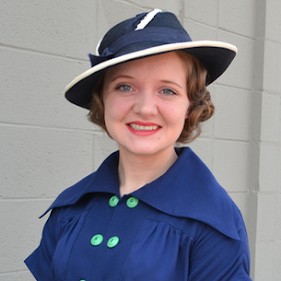 I think it's today we are concerned with, not yesterday--even as this is a vintage clothing discussion site. We don't live in the past, and regarding racism and sexism, we sure as hell wouldn't want to." "IMO, as long as you are not wearing a culturally significant textile or wearing a religious turban, I think it's ok to wrap a scarf or fabric and tie it on your head. I generally stick to solid fabrics or pattern scarves that are in no way culturally tied." "One thing Westerners and Western culture can do is stop acting like they found a novel fashion piece whenever they are rocking African items, head wrap or otherwise. It happens so often and is so offensive. Arbitrary 'tribal print' headscarves and clothing sold in stores like Forever 21 sometimes have them with patterns that are African and, of course, Africa is not given the due credit when it is advertised. It’s just a cool 'new' trend. Knowing the history of the continent and how it has been (and continues to be) pillaged and colonized, the very least they can do is acknowledge and respect the origin of those fabrics and buy from African designers. At the end of the day, people are going to do what they want to do, but I would prefer that non-African people wear African fabrics for reasons other than 'it looks cool.' That will challenge people to actually research the history of what they are wearing, perhaps even to the point that they would rather not wear it out of respect. 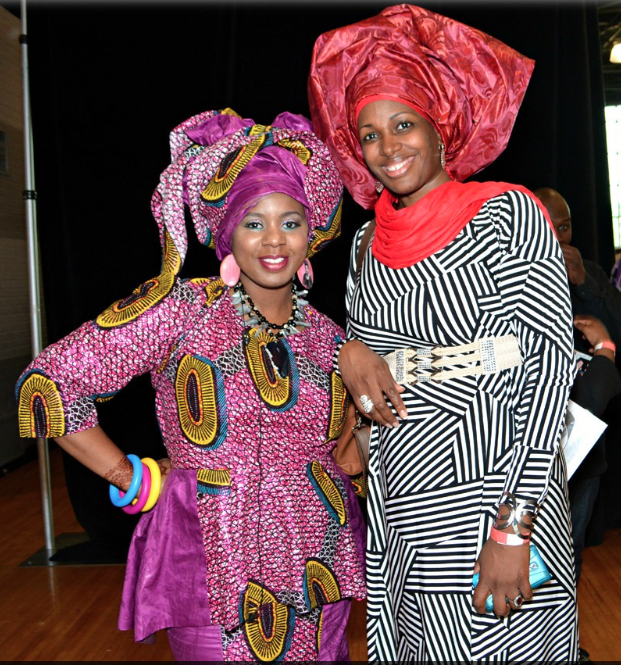 When in doubt, my advice is to wear the fabric if you’re invited by someone in the culture to do so (wedding, etc.)." [Black women], too, have to ask ourselves if it would be offensive to our culture or anyone else's. After all, Africans and African-Americans have a tumultuous history. We have to face the elephant in the room and ask ourselves if we are selling out by mimicking the style of ancestors who sold us into slavery?" "I don't think it's appropriation if you are not wearing a religious turban, and you are taking care to wear an ethnic wrap with respect to the culture. Especially if you're supporting the local designers of color. Rock your head wrap!" "Don’t wear a wrap just so you can say you’re 'pro-black' or something… Don’t do it because you have a political reason. Do it because you really like it, because you appreciate the ability it gives you in creating a new look for you." 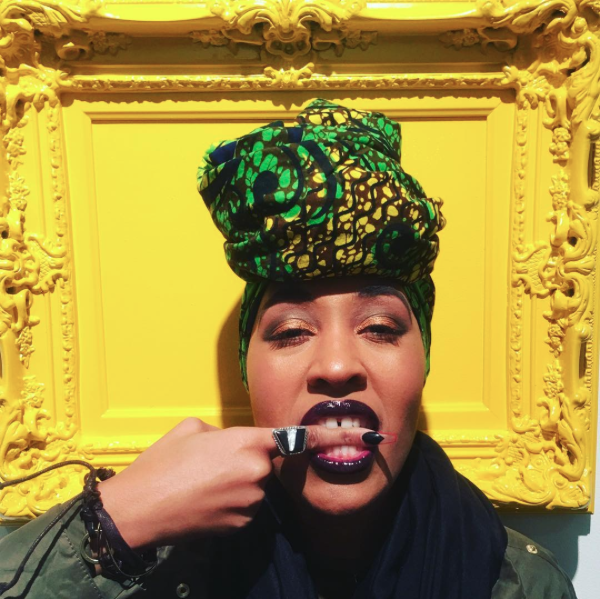 - Aziza Lynn, aka "The Bargain Beauty"
"It's hard to decide what is appropriation and what is not, especially in the arts (fashion included) because being influenced by other ideas and cultures is natural. I think one of the big red flags that we can all agree on is taking culture (in this case fashion) from another culture and using it without regard for the context or claiming it as your own. Women from all over the world and from many parts of history have used a variety of wraps and ties all throughout history to keep their hair neat and off of their neck, as well as for religious and modesty reasons. I think the head wrap is a challenging issue because it's not strictly used by one culture or only for religious dress. 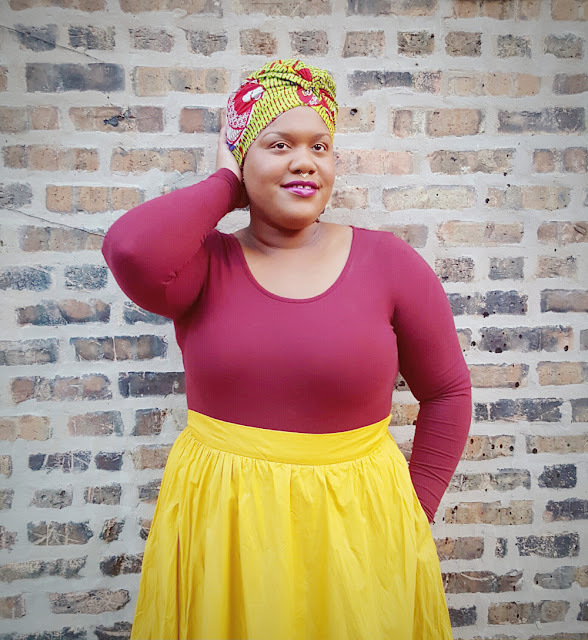 I'm not sure what the right answer is for head wraps, but it seems to me like the fact that we're having the conversation means that everyone's intentions are in the right place." So, readers, what about you? 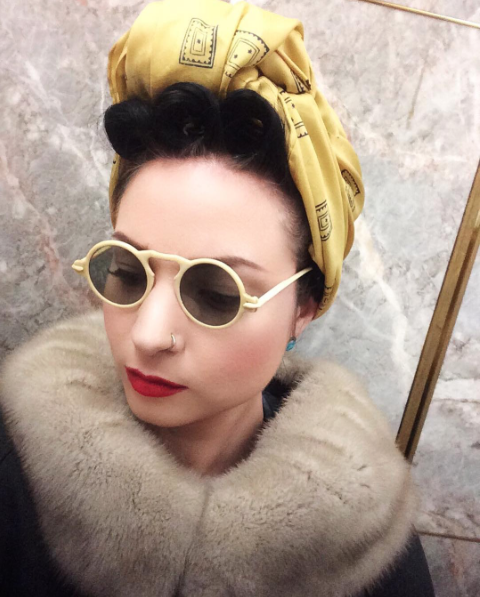 Are there head wrap styles you feel nervous about trying? How do you decide which wraps to wear? Has any of these people's insight changed your thoughts on what you would wear? So... unless you're doing a gele style wrap or using an African fabric, you're probably don't need to research much because it isn't specifically belonging to one group (although mostly black women wear head wraps these days, so there may be that association). Plus, the rest of the outfit makes a difference. 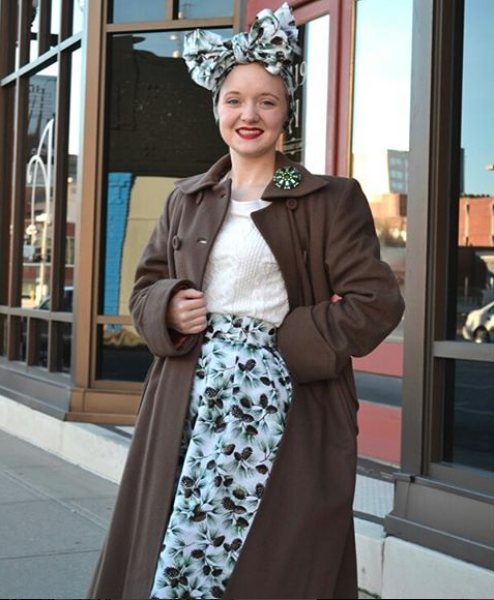 A head wrap with giant Africa earrings and henna may send a different message than a wrap with a pencil skirt and bakelite. But I will work on a post for future CFTW posts that will talk about different types! That is a great idea! I had the same question. I'm a curly-haired white girl and have often worn headscarves on days I can't deal with doing my hair. I've recently seen articles about other things I do being cultural appropriation (most recently hoop earrings and winged eyeliner...? ), so now I'm questioning my choice for a headwrap—even though I'm doing it for one of the reasons that some women have historically done it (can't deal with the curly hair). Yes, I guess I can style it without chemicals, which isn't an option women with really curly natural hair have, but it still takes time. Any help on this (and the hoop earrings / winged eyeliner) is appreciated. I feel like all I'm allowed to wear is straight hair and khaki pants. I love your voice in this piece. You did a great job rounding up multiple views; thank you for including me and enlightening us all! Thank you for this post, and the respectful and informed way you describe the topic. 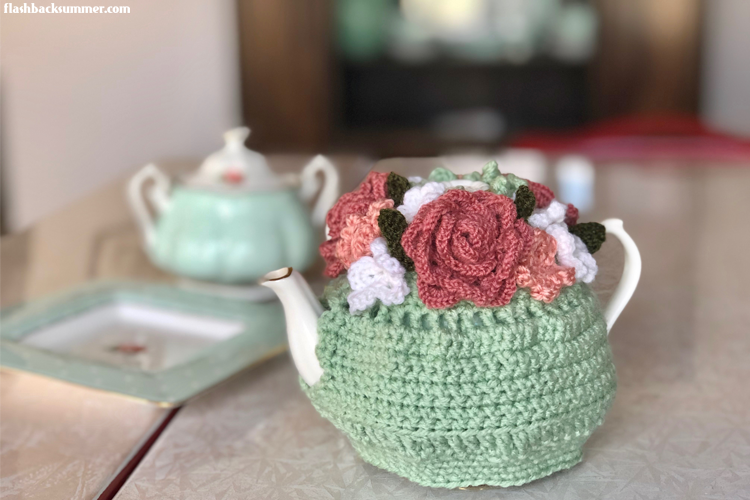 To be honest I haven't been following your blog, I just stumbled on this post (although I'll definitely be taking a look later!). I find this topic very interesting, maybe also because it's something I never really stopped to think about. This might also have to do with the fact that the concept of cultural appropriation is a lot more present in the US than it is in the Netherlands. After all, even though we'd call ours a multi-cultural society, the vast majority of people have the same background. And even though respect is important, Dutch culture also tends to be quite straight-forward and not quite so polite to outsiders ;). I personally have never worn a style as you describe in this post, but being a folk-dancer I do actually wear national costumes quite often. Also from other places than the Netherlands. This means I've worn Turkish, and Bulgarian, and Macedonian etc. clothing and headwear. And I've never met anyone with any second thoughts about this. I personally know that when we wear these costumes, and do the dances and sing the songs, we do it out of a love and respect to the other culture where they come from. And I think that's really important. And although I personally try to be as informed as possible, I think the more important thing might even be to know the limits of your knowledge. Don't pretend it's something of your own making, and be honest if you recieve a question to which you don't know the answer. But at the same time, if you love a style, and are honest on where your inspiration comes from, don't be afraid to wear something you love! Being respectful is key, but also don't stop from enjoying beautiful things out of fear to insult someone. History have made us sensitive to these issues (and often rightfully so), but it'd be a shame if we'd let that stop us from enjoying all of the lovely things other cultures have to offer. Anyway, sorry for the long comment ;). I'd love to know what other people's thoughts are on wearing traditional clothing from other cultures than your own, in addition to this topic! I think that's really good insight! The racial dynamics I of the U.S. definitely don't represent those of other countries, and things are different around the world in various contexts. I also hope an effort to be respectful and PC doesn't stop people from enjoying and supporting the beauty in other cultures. Also, I think I've read your blog! I'm glad you could stop by and I hope to hear from you again! Way to be bold in trying new styles! That sounds like a good rule. As long as the garment's home culture doesn't say a straight up no (like Native Americans and war bonnets) and you've evaluated, you're probably on the right track. I think it's good for white people to admire and respect garen't from African and black cultures. If we can give credit where it's due and do it right, it will be a good switch up from the eurocentricity of the past. Really enjoyed this article! I wrap as a married Jewish woman, and many of us love trying on the different styles! Thank you for this! I've never worn a wrap, but I have worn headscarves despite not being a Muslim. I've worn scarves voluntarily off and on in Egypt, Jordan and Morocco... they're actually very good at keeping sand out and shading your eyes when you've lost your sun glasses. Though it was clear I was not Muslim (and not very good at putting scarves on) locals volunteered to help sort me out! In Jordan my roommate was Muslim, and she helped me practice the scarf as I was going to be visiting Iran later where it would be compulsory. I've only worn a headscarf once in the UK, on my way to the post office to be photographed for my visa for Iran. As it happened, the person who helped me with my photos was Iranian and we had a great chat - lots of top tips of unmissable things to see. I suppose things are a bit different in the UK, and in particular London, where if you want to buy something outside of your culture, you'll be buying it from someone in that culture, or with chums from that culture... who can advise you. I've actually had an Indian-Malaysian chum ask me where to buy a wedding sari in London! I had no idea, as I'd got my saris in Mumbai, helped by chums there. London, and Londoners of all backgrounds do appear to have a different approach! And it is like that in a lot of places in the U.S., too! In "real life" I have never gotten flak for wearing clothing of another culture. It sounds like you're doing it with respect and have had good experiences with people whose cultures the garments come from. Those sounds like really good indicators to me! Thank you for this post! I am def one of those people who love head wraps but worry about appropriation. I appreciate the food for thought. I am so glad you made this article. I've been thinking about getting more into head wraps but wondered about how culturally okay it would be. They are really practical for everyday use, but I guess it is a style trend most popular with vintage girls and POC. Especially in my area there are a large Muslim and Indian community. Although the styles they wear wouldn't be the ones I would of tried out, I do wonder if people would misinterpret (since they are uneducated in basic differences) and assume I am being the insensitive one. I am glad to hear that most of the cultural significance is in the fabrics usually, and I have a lot of hand me down silks that don't fall in that category, so I have a safe starting platform to start with before learning about all the other types of styles. If it helps, I don't usually get mistaken for a Muslim or Indian. Usually it's "Aunt Jemima," "Rosie the Riveter," or "that lady with fruit on her head," haha! Great thoughts from you and your guests Emileigh! I love that you posted about this and sought other opinions too. 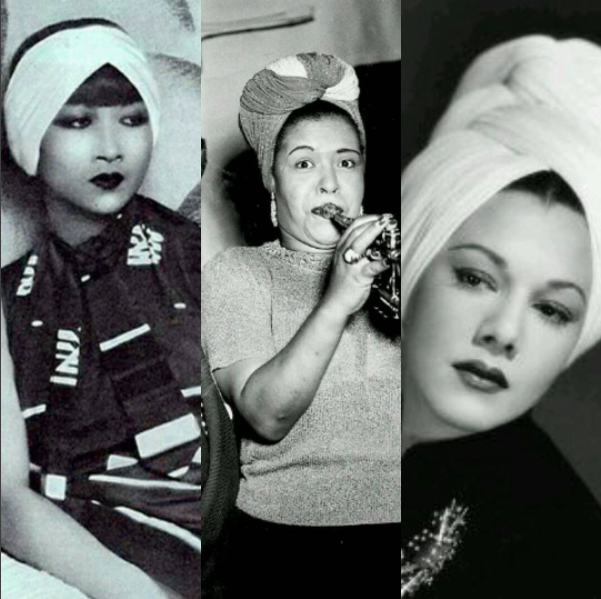 It is an issue I have considered when trying to head wrap myself and when making turban hats too. I haven't worn a head wrap out but I think it's more a confidence thing and I'm not sure yet if they suit me! One thing I wonder about with cultural appropriation in general is how to find information when recreating a vintage style that appears to have taken inspiration from another culture. It seems hard to trace back through someone else's creative path. I'm glad you think so, Tanith! I'm sure there's a head wrap out there that would suit you wonderfully, but I totally understand having to work up the confidence. You're right, in can be hard to "track back through some else's creative path," definitely. I think for us modern people, it may also include what other modern people may see when they look at our style, even if it is vintage and had a different meaning back in the day. Very good thoughts! I wear head wraps often. Extremely long and curly hair that I just don't always have the time or desire to deal with. At work one day, I was wearing a wrap and a couple of Sikh women came in, and one of them said "you look beautiful if your sort of turban" I was instantly embarrassed because I was suddenly afraid I was was engaging in cultural appropriation. I said thank you, and then sort of awkwardly admitted that I was trying to hide a bad hair day. She was just like "well, it looks very nice" and asked me wear I got my scarf. It didn't seem to offend her, in fact, I was way more weird about it than she was. I wasn't wearing her scarf, or in her religious way, and if anything she seemed to like seeing another woman with her head wrapped, even if it didn't have the same meaning. I don't have personal experience with how African American women feel about it. There's such a longer precedent of appropriate and horrible treatment that I'm afraid it would read differently. However I've gotten fairly positive responses from women when I wear intricate braids. They're not cornrows, usually braids pinned up in a way that keep it up for work for a couple of days, and of my own design. I do it for the same reason as I wrap, I work around food and my hair is difficult, and I use any method I can to look neat, and wash it as little as I can get away with. Anyway, I e had .any black women compliment my braids. I think they notice more than other women, not because my braids look like their braids but because they're more tuned into that sort of thing. Basically, if you are engaging in a style that has some sort of relationship with a different culture, people of that culture WILL notice. And they will say something. But as long as you are not directly ripping off their culture, I've found it much likely that you'll get a positive response. Yeah, I haven't gotten negative comments in real life either. In my area it actually seems to open doors for me and give me a talking point with people that may have otherwise just walked past me. It's helped me make new friends!